A beloved teacher’s explanation of the path to enlightenment in its first-ever English translation. Pabongkha Rinpoche is renowned as one of the greatest and most charismatic contemporary teachers of Tibetan Buddhism. Both Kyabje Trijang Rinpoche and Kyabje Ling Rinpoche, the junior and senior tutors of the 14th Dalai Lama, accounted him as their root guru. Giving explanations of the stages of the path to enlightenment (lamrim) was considered one of his greatest talents—often thousands of students would come to hear his teachings—and with The Essence of the Vast and Profound the English-speaking reader can experience this firsthand. 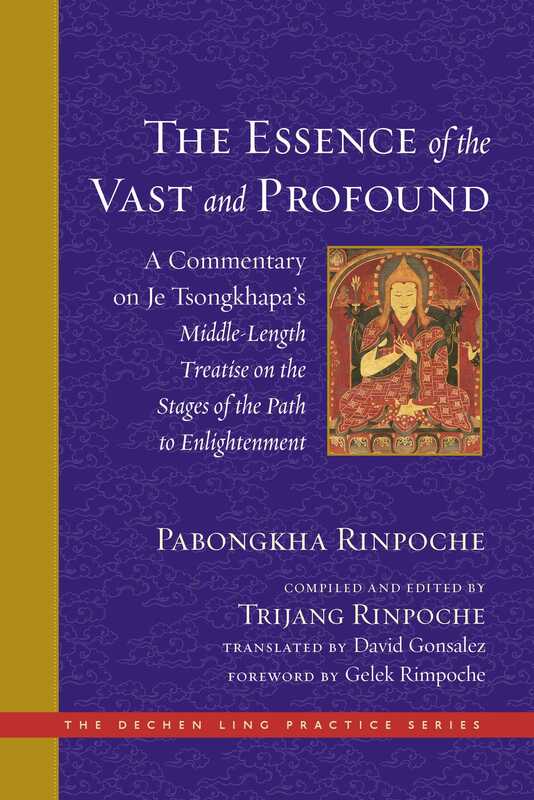 Drawn from teachings given over the course of thirty-six days in 1934 in Tibet’s capital city of Lhasa, The Essence of the Vast and Profound masterfully weaves together Tsongkhapa’s Middle-Length Exposition on the Stage of the Path to Enlightenment, the Second Panchen Lama’s Swift Path, and the Third Dalai Lama’s Essence of Refined Gold. Rinpoche offers wise and compassionate guidance on such crucial subjects as how to rely on a spiritual teacher, how to develop certainty on the path, what it means to take refuge, how to understand karma, and the importance of compassion—explaining the entire spectrum of the Buddhist path, and also inspiring the reader to follow it. The Essence of the Vast and Profound will soon find its place as one of the greatest lamrim commentaries ever given.